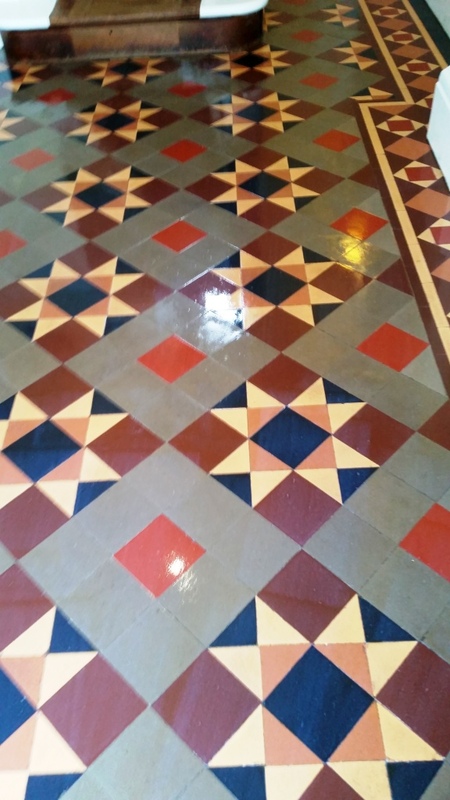 This extremely dirty and dull Victorian tiled hallway floor was at a house in Westcliffe on Sea near Southend. The tiles were well overdue for a deep clean and having worked on many of these types of floors before I was confident we could do the job. Any sealer that was originally present had worn off years earlier so I went straight in with a strong solution of Tile Doctor Pro-Clean diluted 1:1 with water. This was applied to the floor and left to soak in for ten minutes before being worked into the tiles with a black scrubbing pad fitted to a rotary buffing machine. The soiled cleaning solution was then removed using a wet vacuum and the floor was rinsed. The process was then repeated a few times to ensure all the ingrained dirt had been removed and we also tackled a few paint splashes that became evident. The floor was given a final and thorough rinse with water to ensure all trace of cleaning products had been removed and dried as much as possible using a wet vacuum. The Victorian tiles were left to dry out for two days before we returned and the floor checked for dampness using a damp meter. 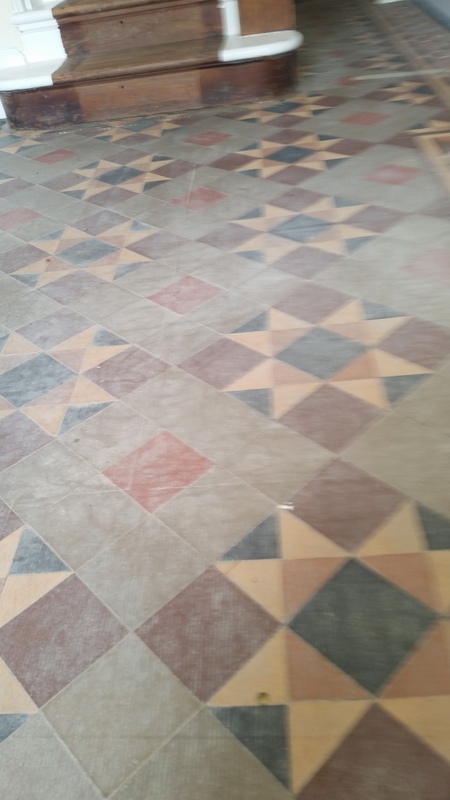 Everything checked out OK so we proceeded to seal the tiles using numerous coats of Tile Doctor Seal and Go which is our recommended sealer for Victorian tiles as it gives a nice low sheen effect that enhances their appearance as well as protecting them from future staining.